While you can reduce your risk of developing cavities and gum disease by practicing excellent dental hygiene, there is no way to completely guard against all oral health hazards. Injuries pose an added risk. If something goes wrong with your smile health, feel confident in Dr. George Michaels and our team. We provide midtown Atlanta, GA families and friends with superior restorative dentistry services, including tooth replacement, white fillings, and more. Learn more and request an appointment today! 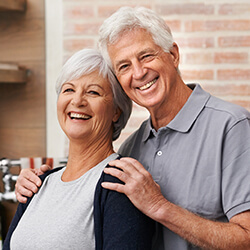 Crowns and bridges provide significant help for damaged, decayed, or missing teeth. A dental crown is a tooth-shaped covering that is bonded securely around an affected tooth. It is permanent, and can only be removed by your dentist using special tools. 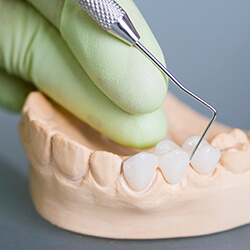 The dental crown can hold a broken tooth together, restore strength to a weak or worn tooth, repair a severely decayed tooth, or replace a single missing tooth when supported by a dental implant. Dental crowns made of porcelain are an esthetic solution for teeth in the front of the smile. Dental bridges are a tooth replacement made of three or more dental crowns affixed to one another. With a dental crown secured around two natural teeth surrounding a gap in the smile, prosthetic teeth fill in the space between. In this way, dental bridges create an actual bridge over the gap left by one or more teeth missing in a row. Dental crowns and bridges are completed over the course of two visits to Midcity Dentistry. The first is for planning and preparation, and the second is reserved for the placement of your new crown/bridge. Tooth bonding provides an alternative to silver, or amalgam, fillings. The composite resin is highly customizable to match the shade of your surrounding tooth enamel — and it is less sensitive to heat and cold than amalgam. Tooth-colored fillings require less removal of healthy tooth enamel than the silver alternative, and they also dry within minutes of application. The same material used for tooth colored fillings can also make cosmetic improvements to the front teeth. 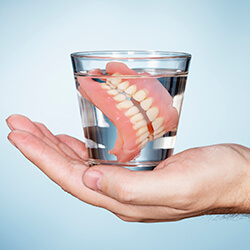 Dentures are prosthetic teeth attached to a gum-colored base, and they replace missing teeth to restore your ability to eat, speak, and smile with ease once again. A complete denture takes the place of all missing teeth in the upper or lower jaw. It is held tightly in the mouth using natural suction and a denture adhesive, as needed. A partial denture snaps in around the existing natural teeth, held in place with brackets and clips. Once decay reaches the interior of the tooth, you’ll need more than a simple filling to enjoy a healthy smile once again. To perform a root canal and rescue your tooth from extraction, Dr. Michaels removes all infected tissue from the interior of the tooth, then places a permanent filling or crown to restore its strength. 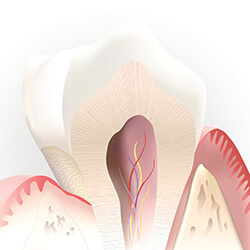 While root canals have the reputation of being very painful, options in anesthesia and/or sedation ensure you feel no pain throughout the procedure. 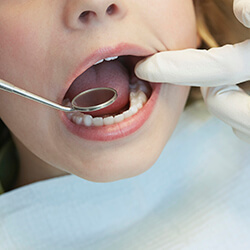 Our first plan is always to rescue your natural teeth — but sometimes, extraction is necessary to protect your oral and overall health. Wisdom teeth often require removal. If you do have to have a tooth extraction, you can trust Dr. Michaels and our team to perform the procedure as efficiently and comfortably as possible. Simple extractions are possible when the tooth can be removed in a single piece; surgical extractions remove the tooth in multiple pieces.